Adelaide lies in a part of the Eastern Cape that is rich in history due to the confluence of South Africa's three main population groups. 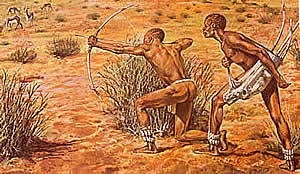 The San ("Bushmen") were the original inhabitants of South Africa and far beyond. A hunter-gatherer way of life has meant that they have left little in the way of artifacts. They are best remembered for their wonderfully natural record of wildlife in their so-called rock art of which there is a fine legacy in the district. With the coming of the black Bantu speaking people from the east and the white Afrikaans speaking people from the west, the San were displaced northwards, never to return. When the British took over the Cape from the Dutch in the early 1800's during the wars with France, they established a military post on the southern bank of the Koonap River (a name derived from the San "Gonappe"). This is to-day the farm Haddon, just to the south of the town. The Dutch bequeathed to the British two problems in the Eastern Cape. 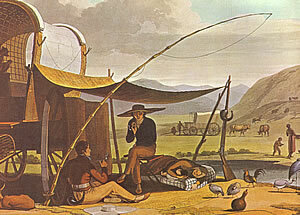 One was the dissatisfaction of the trekboers with government from remote Cape Town. The other was friction between these migrant farmers and the migrating black peoples. 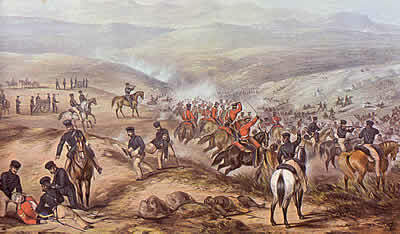 In an attempt to stabilise the frontier, the British began to introduce settlers into the region; the well-known 1820 Settlers. Tension continued, however, and during much of the remainder of the century periodically broke out into open warfare, the Frontier Wars. In 1834, a Captain Armstrong established a larger military encampment which he named Fort Adelaide after the wife of King William IV. The town subsequently grew up out of this. In 1835 began the Great Trek in which numbers of Afrikaans speaking inhabitants left the area to migrate northwards in search of new lands to settle, free from government interference. This thinning-out of the population exacerbated the frontier problem and in 1836 a fort was built at Post Retief, north east of Adelaide which could serve as a refuge for farmers and their workers during raids. 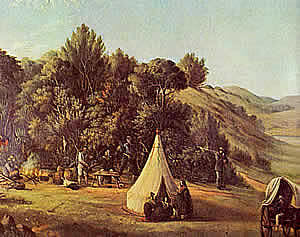 Many Scottish settlers established themselves in the area, especially in the Mankanzana River valley. It was they who erected the first church in the district, at Glen Thorn. In the years since those troubled times, Adelaide has prospered in peace and has become a prime beef, mutton, wool and citrus farming district. Several authors have had contact with the town in in the form of autobiographies, diaries of frontier life or the setting for novels; Thomas Pringle, Sir Andries Stockenström, Pieter Retief, F.A. Venter and Iris Vaughan to mention a handful. The artist Thomas Baines recorded places and events, thus creating a visual record of the Nxuba area. In more recent times, Adelaide has produced its share of top South African sportsmen and women, including several Springbok rugby players.